I was once invited into the dressing room of Leeds United Football Club. Howard Wilkinson was the manager. He was not present. I stared at a diagram behind the head of the man who was talking and saw two long arcs of blue ink meet a cross near the top of a whiteboard. Howard Wilkinson left Leeds United and became the technical director of English football. Moments, such as when I stood in front of that whiteboard, can make a man bitter. Leeds, though, should not be judged on the basis of crude long ball football tactics. The high status West Yorkshire Playhouse has managed to combine success and an uncompromising repertory. It also does fine work for the community. The University is successful and prosperous. It has a good central location and its architecture has helped the City retain a gothic style that has been lost in other English cities. The splendour is not consistent because of the investment in office blocks for the 25% of the population that work in finance. Trendy shops have followed. So parts of Leeds are dreary but these can be avoided. All it takes is a short walk. 65% of Leeds District is green belt, and the City is twenty miles from the Yorkshire Dales National Park. The Leeds Country Way is a circular 62 mile walk, and no point on the walk is further than seven miles from the City. Also near is Kirkstall Abbey, which was built at the end of the 12th Century and housed Cistercian monks. 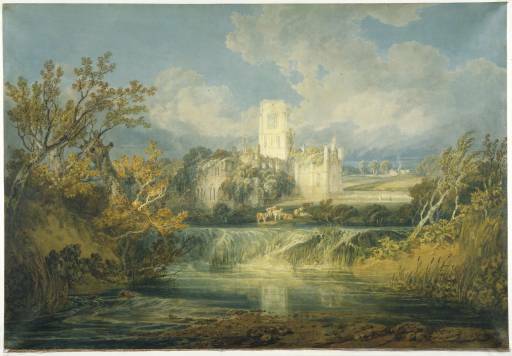 The Abbey was painted by Turner. The Abbey cannot be criticised for failing to redeem a dull Harry Potter film. The ruins of the Abbey are close to the River Aire and near Headingley, so Rugby League and cricket fans might be tempted to visit. Leeds Rhinos, the Rugby League Club, is as successful as the football team is a failure. Leeds is the third biggest city in the UK but, because of mistakes by football entrepreneurs rather than the dim wits of Howard Wilkinson, Rugby League remains popular in the City. 50% of the UK manufacturing industry is within a two hour drive of the City. While Liverpool suffered under Thatcher, Leeds made economic progress. It may or may not be an irony that the Headquarters of what used to be the Benefits Agency was located in Leeds. The building has a brutal matchbox style and has been nicknamed The Kremlin by locals. Elsewhere there is economic relief denied those on benefits. The Victoria Centre is the finest shopping arcade in the North of England. The Victoria Hotel is a pub that was saved from demolition by local activists and it has been acknowledged by the Leeds Civic Trust which said that it had ‘splendid Victorian features’ and that it made ‘a valuable contribution to City life.’ It serves a decent pint, too. The good news continues. 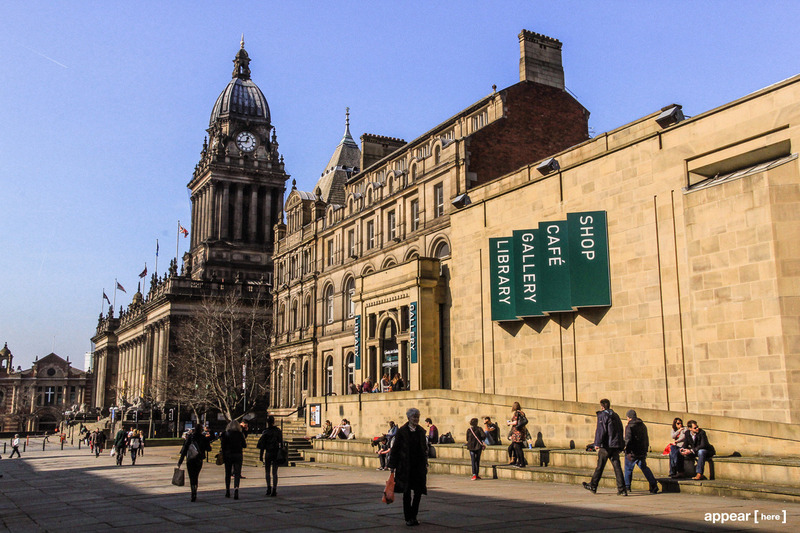 Despite the close presence of the Pennines, Leeds is one of the driest cities in Britain. For rare wet days it has the largest indoor covered market in Britain. There were two cholera outbreaks in the 19th Century but that was a long time ago. Howard Jackson has had four books published by Red Rattle Books. His 11,000 mile journey around Brazil is described in Innocent Mosquitoes. His latest book and compilation of horror stories is called Nightmares Ahead. Published by Red Rattle Books and praised by critics, it is available here. If you want to read more about his travels click here. Posted in Benefits Agency, Football, Headingley, Howard Wilkinson, Joseph Turner, Kirkstall Abbey, Leeds Country Way, Leeds Rhinos, Leeds United, Quarry House, River Aire, Rugby League, Victoria Hotel Leeds, West Yorkshire Playhouse, Yorkshire Dales National Park and tagged Britain, Culture, history, politics, travel on July 4, 2015 by Howard Jackson.